It’s a question that’s worth worrying about. According to the FBI, 33% of break-ins occur through an unlocked or open door or window, and that includes an open garage. Luckily, you don’t have to worry about whether you remembered to close the garage door. With a smart garage door, you’ll not only know if it’s open or closed, but you’ll be able to control it wherever you are. Take a look at how a smart garage door works and how it can benefit your home. Most garage doors can be opened in one of two ways: manually, with a handle on the door you grab and pull, or automatically via a control pad in your garage or a fob you keep in your car. A smart garage door, on the other hand, is an automated garage door that typically wires into your existing system to allow remote access and voice commands. Because it operates via WiFi, it can also integrate with many of your home’s other smart devices. Better garage door security. As the largest entrance point to your home, your garage door provides access to your entire home. It also houses valuables like your cars and tools. What’s more, it’s surprisingly easy to break into—in just six seconds, thieves can break into a garage door with just a coat hanger and a little pressure. This makes the garage a particularly attractive option for those who want to get into your home. Remote monitoring. Did you leave the garage door open or did you close it? With a smart garage door, you can alleviate that nagging worry. With remote monitoring, you’ll receive a notification on your smartphone app if your garage door is open. And no, you don’t have to drive back home to close it. Control wherever you go. Through your smartphone app, you can close (or open) your garage door no matter where you are. Smart home integration. When integrated into a smart home system, a smart garage door integrates with other smart home devices. This can include smart speakers that let you open or close your garage door with your voice, home security cameras you can place in your garage, or integration with your home's security system. Greater home security. When combined with security features like indoor and outdoor surveillance cameras and door alarms for the entrance leading into your home from the garage, a smart garage door provides enhanced home security. Control your garage door from anywhere with a smart garage door controller from Vivint. Your garage is one of the most vulnerable points of your home. Many people don’t lock the door from the garage leading into the home for convenience while coming and going, so it’s an easy in for burglars. Your garage is also home to some of your most costly possessions, like your vehicles, tools, and expensive lawn care equipment. Thieves know this, which makes your garage an even more attractive option. With a smart garage door, you always know whether your garage is open or closed, and you can close it wherever you are—making it harder for burglars to stroll in and take what they want. 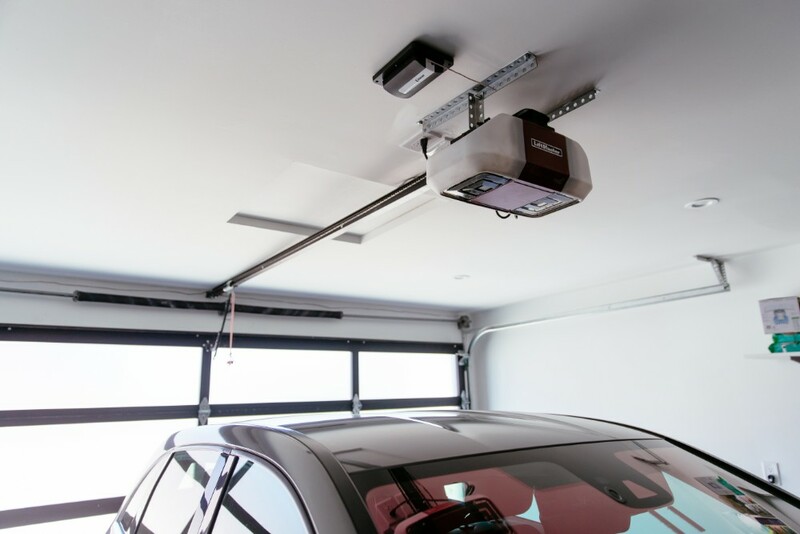 If you want to makeover your garage or are making upgrades around your home, it’s a good time to consider a smart garage door opener. Like many other smart devices, the choices can quickly become overwhelming if you’re not sure what you’re looking for. As a general rule, here are a few factors to evaluate. Compatibility. First and foremost, your new smart garage door opener needs to be compatible with your existing garage door. If you already have an automatic garage door, it will be less complicated to install than if your door is manual. The smart garage opener's manufacturer should list current garage door models and systems that are compatible. WiFi connectivity. Smart garage openers work via a WiFi connection, so you’ll need to make sure your current connection has enough bandwidth and is strong enough in your garage to handle an additional device. Smart home integration. If you want your new garage door opener to integrate with the rest of your smart home, either now or in the future, it will need to work with your other devices. This is one of the great things about a complete Vivint Smart Home system, which enables all of your devices to work together seamlessly. App compatibility. Controlling your garage door via an app on your smartphone is one of the biggest benefits of a smart garage door, so make sure the app it comes with is compatible with your smart device’s operating system. Since your smart garage door is actually the opener and not the door itself, in most cases you don’t have to worry about installing an actual door or replacing your existing one. You do, however, need to think about whether or not you have the tools, knowledge, and desire to install your smart garage door and integrate it with your smart home system yourself. If you opt for Vivint Garage Door Controller, you have the luxury of professional installation that comes with the purchase of a smart home system. With Vivint's professional installation, you don't have to lift a finger. One of our Smart Home Pros will take care of everything from start to finish. One of the best things about a smart garage door is the ability to incorporate it into your smart home. This smart home connectivity allows you to control your garage door in a number of ways through various devices. It also lets it work together with the rest of your smart home for increased security. Voice control. If you’re within proximity to your Amazon Alexa or Google Home, you can open or close your garage door with your voice. This is especially helpful when you have an armful of groceries, luggage, or children when you get inside your home. Simply saying, “Alexa, close my garage door” eliminates the need to drop everything to reach up and close your garage. It also makes it easier to remember to close it altogether. Camera integration. Your smart garage can also integrate with your home’s doorbell camera. 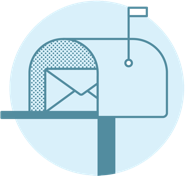 You can see who’s at the front door and open your garage for them if you need them to put a package or delivery inside your garage. To keep your garage even more secure, you can also install security cameras in your garage or right outside of it, so you always have eyes on who's coming and going. App and panel control. While you can control your garage door with your smartphone app, a smart garage also integrates with your smart home’s control panel, like the Vivint Smart Hub. Like your home's smart locks, you can open and close the garage door via your app or your panel. Security system integration. Depending on your security system, you can link your smart garage door to your home's security system. When your security system is armed, opening the garage door will sound an alarm. By integrating your smart garage door with your smart home, you can take advantage of all the features your smart home provides. When it comes to smart garage openers, you have a lot of options. But if you want a feature-rich opener that integrates with the rest of your smart home tech, Vivint’s Garage Door Controller is the way to go. 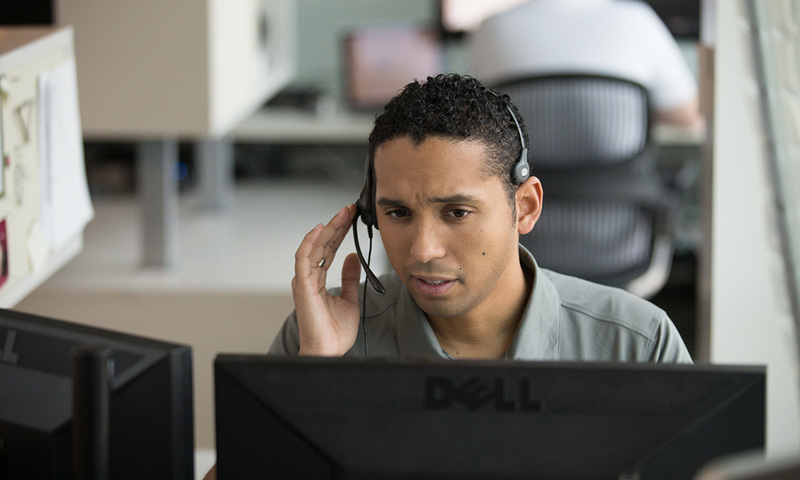 Take a look at what makes Vivint stand out. With the Vivint Smart Home app, you can open or close your door right from the same app you use to check on your cameras, unlock your door, and arm your security system. 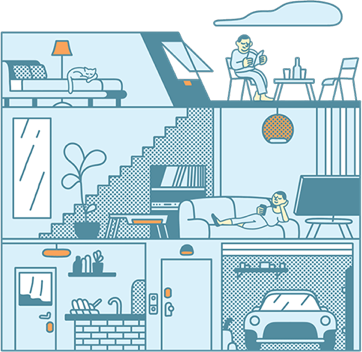 When you’re at home, you’re not limited to the garage door opener inside the wall of your garage, either—just use your Smart Hub. With the Smart Hub as the central control station to your entire smart home, you can close the garage door, arm your security system, adjust your temperature, and turn off the lights, all from one location. With an active family coming and going, your garage opens and closes multiple times throughout the day. So while you may have closed the garage door when you left for work, coming home to an open garage after the kids forgot to close it may be a common occurrence. With Vivint’s Garage Door Controller, you’ll receive a notification on the Vivint Smart Home app if your garage door is ever left open. That way, you can quickly close it before anyone unauthorized has a chance to get inside. Forget to close your garage door? No worries. Close it from anywhere via the Vivint Smart Home app. 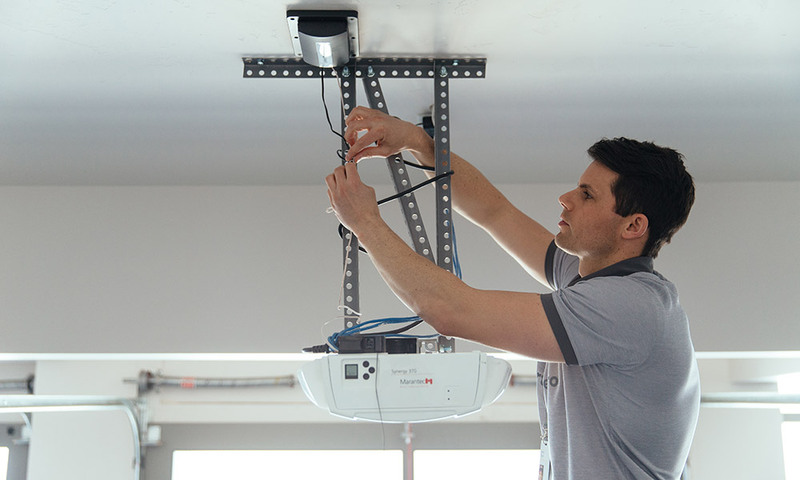 Vivint’s Smart Home Pros will install your Garage Door Controller for you, so you don’t have to spend your weekend figuring out how to install and wire it or where to place it to get the best WiFi signal. They’ll also go over all of the features with you and make sure it integrates seamlessly with your smart home devices. A Vivint Smart Home system comes with continuous monitoring, so if anyone enters your garage or your home through your garage door when your system is armed, our professional monitoring team is immediately alerted. They will contact you and can request assistance from the proper authorities to your home if needed, so you know your home is being protected around the clock. With 24/7 professional monitoring, you can rest easy knowing your home is always protected. When it comes to your garage door, you don't have to wonder anymore. 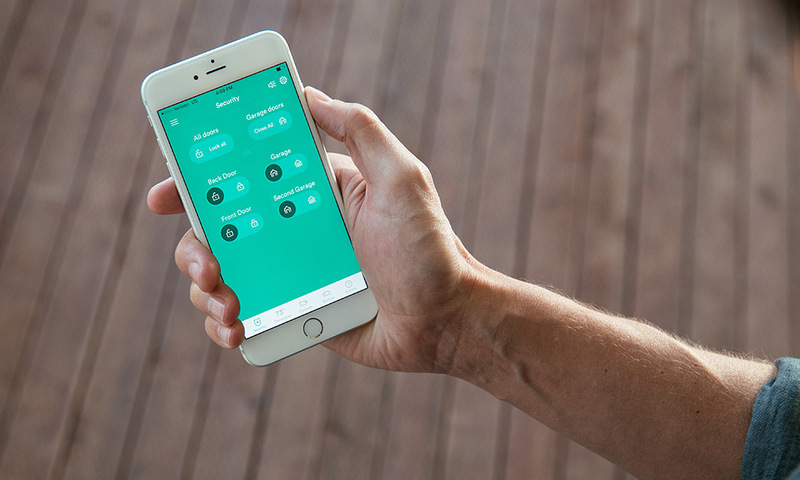 With a Vivint Smart Home, you can control your entire home—including your garage door—right from your smartphone. It's a safer, smarter way to live. 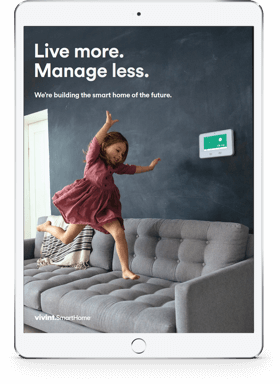 Find out how a Vivint Smart Home can make your life more convenient and secure—contact us today at 800.646.1469 for a free quote on a customized system.